This Grand Estate serves as one of the most inspired Alpine Estates ever built in Lake Tahoe for the avid and youthful Outdoor Enthusiast. 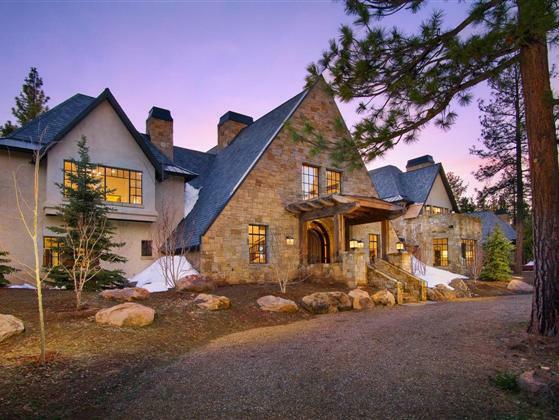 Blanketing 20 alpine acres in the very heart of the Sierra landscape of Truckee, California, the primary Residence boasts 14750 sq ft w/ 6 En-suite Bedrooms, Wine Cellar, Media Room & Library. The landscape is dotted by unique, storybook amenities including a 1029 sq foot Caretakers Quarters, Family Barn, Pond w/velvet sand from Monterey, Outdoor Fireplace, Stone BBQ Area, Kids Tree House, Volley Ball Court & Soccer Field. Perhaps even room for a Heli-Pad?